My colleagues are prepping up for the International Media Conference, which officially starts today, but which will pretty much get going tomorrow (Monday). 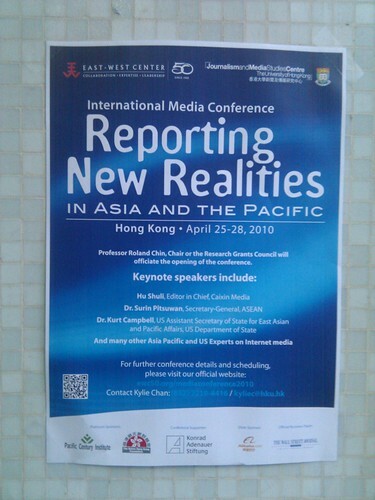 “Reporting New Realities in Asia and the Pacific”, is the theme of the conference, with distinguished speakers such as Hu Shuli (Caixin Media), Kurt M. Campbell (U.S. Secretariat of State) and Surin Pitsuwan (ASEAN). Edit (2010-05-01): A video summary of the event has now been published.